Alpinestars Stella SP-2 is a fully featured sport riding glove for women that uses an advanced material construction for the optimal combination of protection, durability and comfort. The glove’s sleek profile seamlessly integrates a carbon fiber knuckle and EVA foam inserts to afford safety with style. Ergonomically profiled specifically for women. Strong and supple goat leather palm and finger construction for superior durability. Bovine leather used for the knuckle and finger forchettes for enhanced comfort and feel. Cuff, thumb, fingers and the top of the hand and wrist are padded with energy absorbing EVA foam for additional protection. 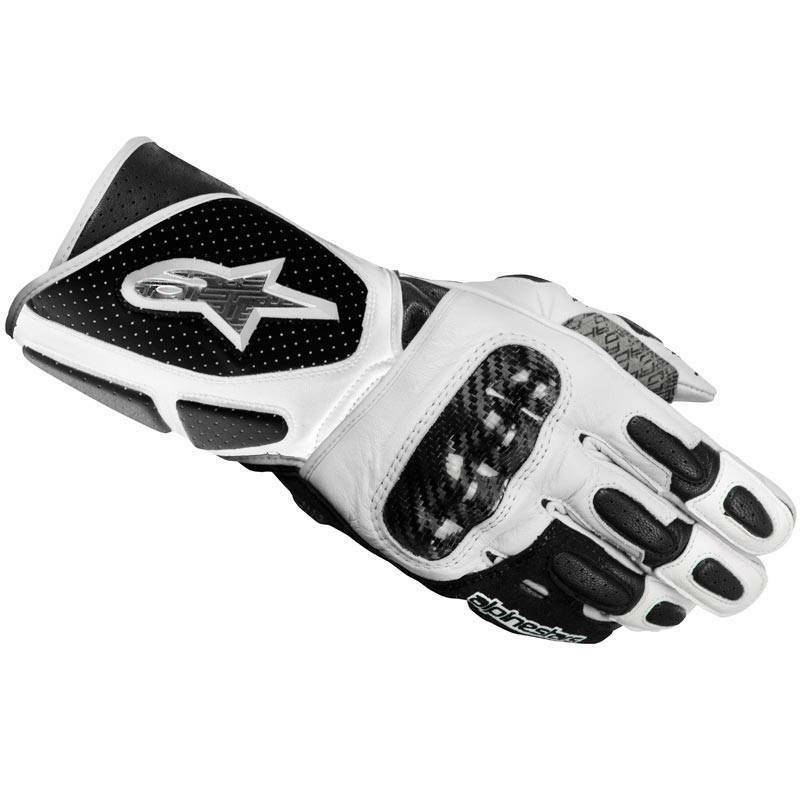 Perforated cuff, leather top panel and ventilated finger sidewalls help keep the hands cool when riding. Wide Velcro wrist closure for easy glove entry and secure closure.